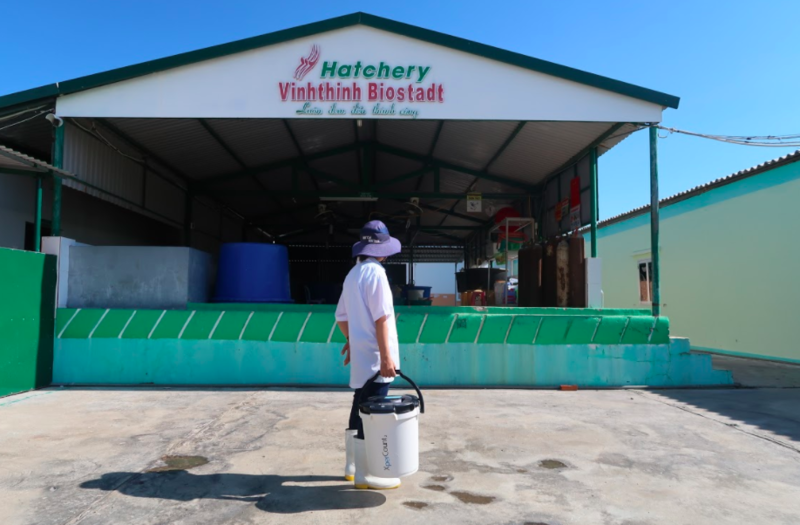 Vinhthinh Biostadt Hatchery (VTBH) launched by Vinh Thinh Biostadt JSC which is a joint venture between the Vietnamese Vinh Thinh JSC and the Indian company BioStadt India Group. 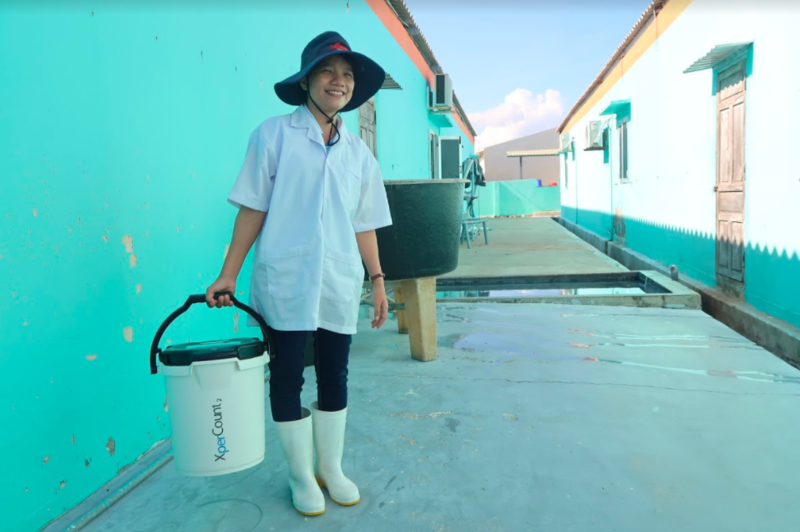 They produce vannamei post-larvae, distribute hatchery feed for aquaculture producers and products to improve the quality and efficiency of aquaculture. 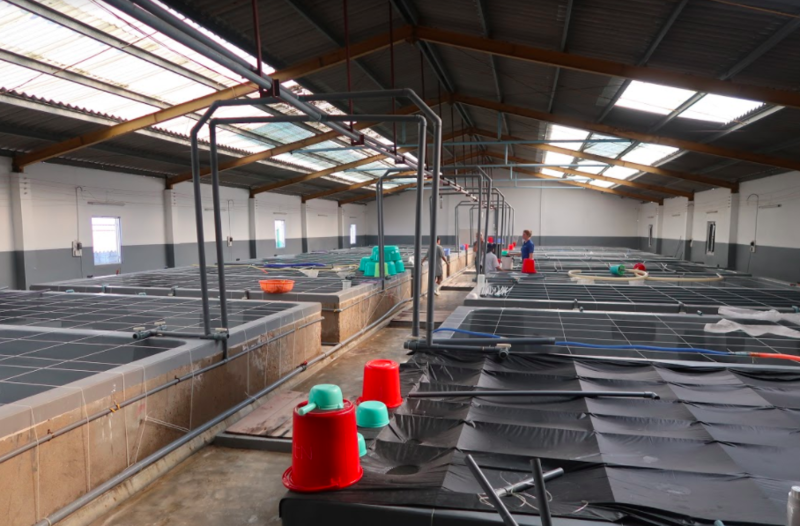 Like many aquaculture producers, VTBH found that they were spending too much time counting their shrimp before shipping. Quality Control workers needed 15 minutes to count samples of roughly 1500 post-larvae, which limited the number of samples they could count before finalizing each shipment. 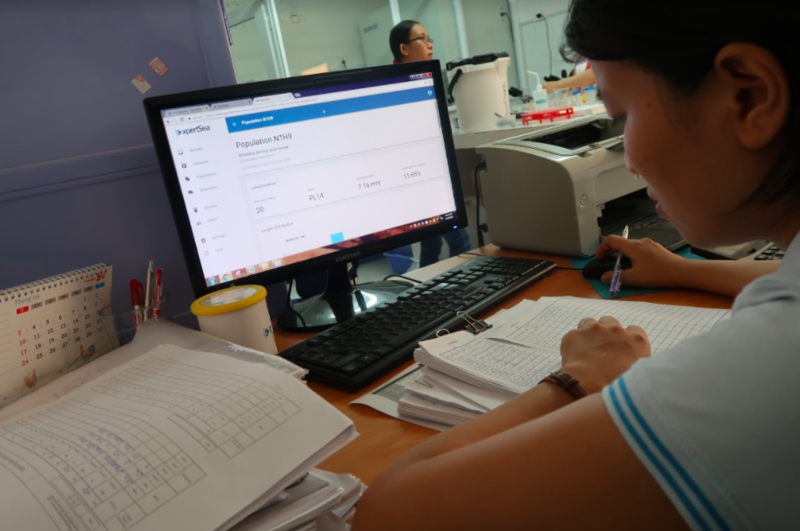 The inaccuracy and human error associated with manual counting made it impossible to guarantee the accuracy of their shipments to their customers. The time that was needed to count the samples was limiting the number of shipments they could send in a day. 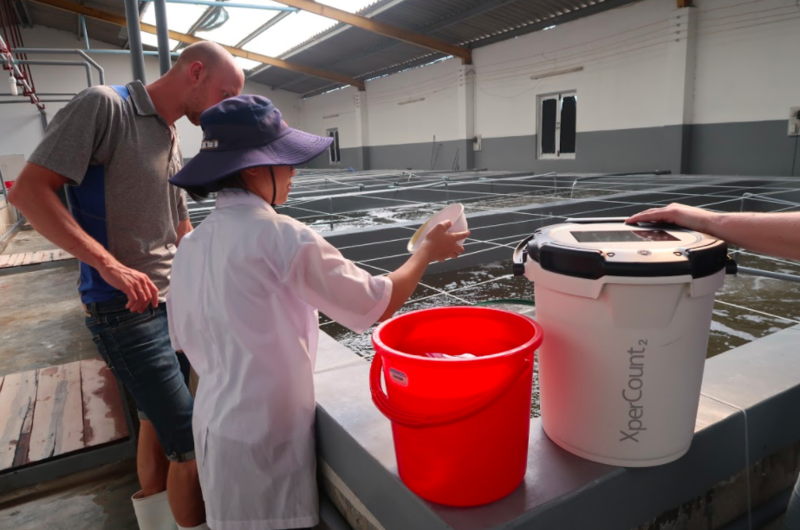 As a company that is always on the lookout for new products to make their own aquaculture run smoother, they were very excited from the moment they saw the XperCount, and implemented it only two months after the company opened. They needed something to improve their counting and shipping process, so they turned to the XperCount. They quickly realized how much time and effort it was saving them in the shipping bay and made it a central part of their shipping procedure. Integrating the XperCount as a core component of quality control has allowed VTBH to have complete confidence in their post-larvae shipments, ensure customer satisfaction, and significantly increase their production. Their shipping bottleneck has been solved. By using the XperCount, VTBH has saved 30% of the time it takes to count each sample. VTBH can count and size twice as many post-larvae per sample. This means that they have increased the accuracy and the number of samples they can count and ship each day. VTBH and their customers are now confident in the number of post-larvae in each shipment. The XperCount can count post-larvae with up to 95% accuracy, compared to the 70% accuracy that is often seen in manual counting. Now VTBH can quickly and easily make sure that every one of their customers gets the exact number of high-quality post-larvae that they pay for. VTBH digitalizes their entire shipment process with the XperCount. The production manager and the quality control manager can access at any time the shipment reports with detailed information such as the precision of the shipment, the number of bags, the quantity of post-larvae shipped and the margin of errors. Furthermore, with the XpertSea Analytics Portal, the company can now keep track of all the transactions online. VTBH optimizes more than 100 shipments per month with the XperCount and sometimes they can process shipments 10 times faster than without the technology.